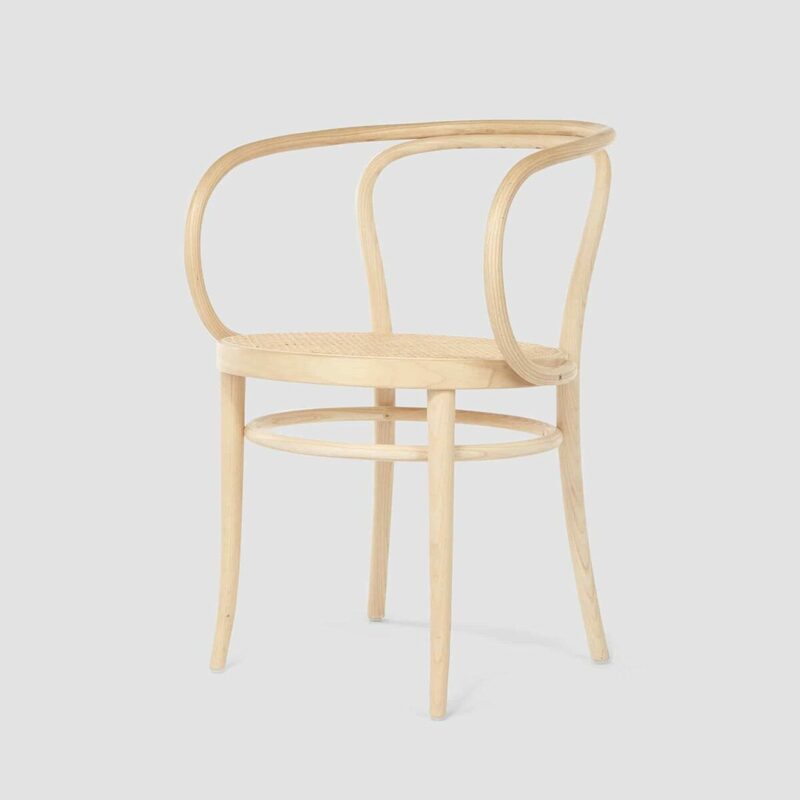 This elegant bentwood classic is a masterpiece in its construction and production: the projecting frame that forms both the backrest and armrest is bent into its form from a single piece of solid beech wood. 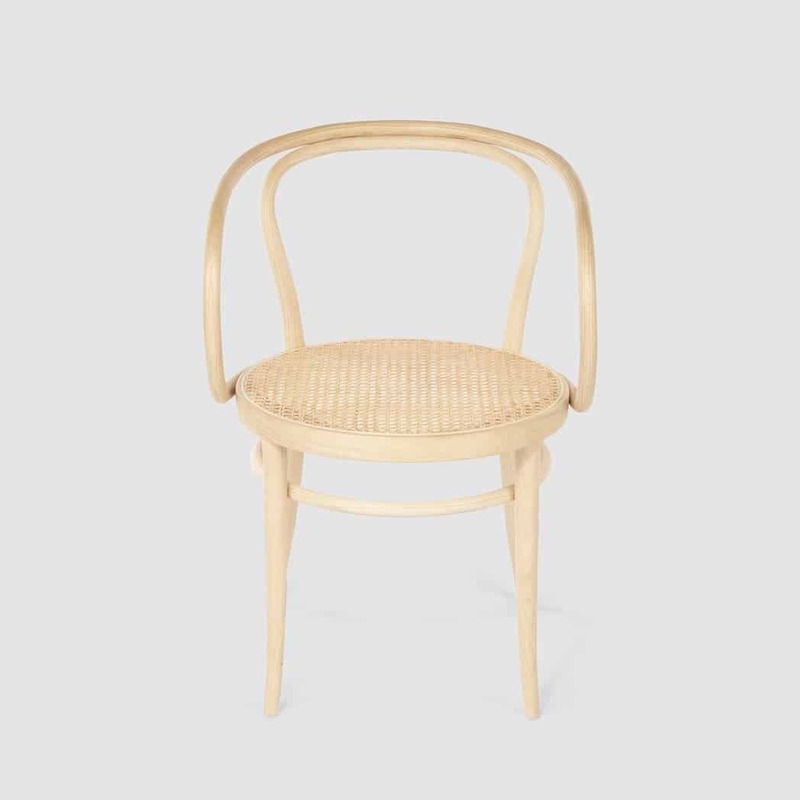 Like the original model of all bentwood chairs, no. 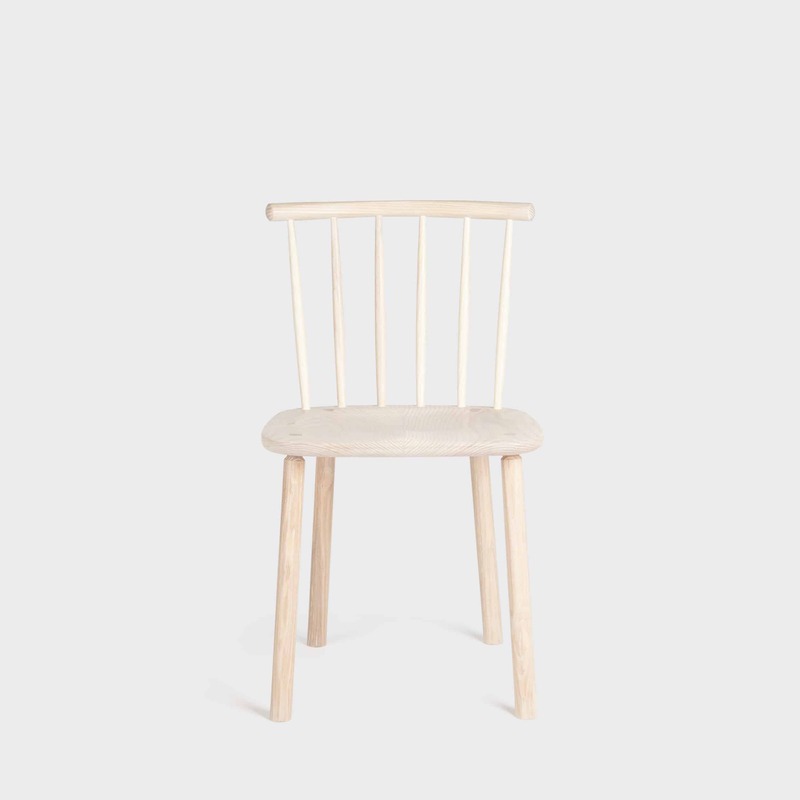 214, chair no. 209 also consists of only six parts. Due to its aesthetic reduction in combination with the organic form, it almost looks like a sculpture. 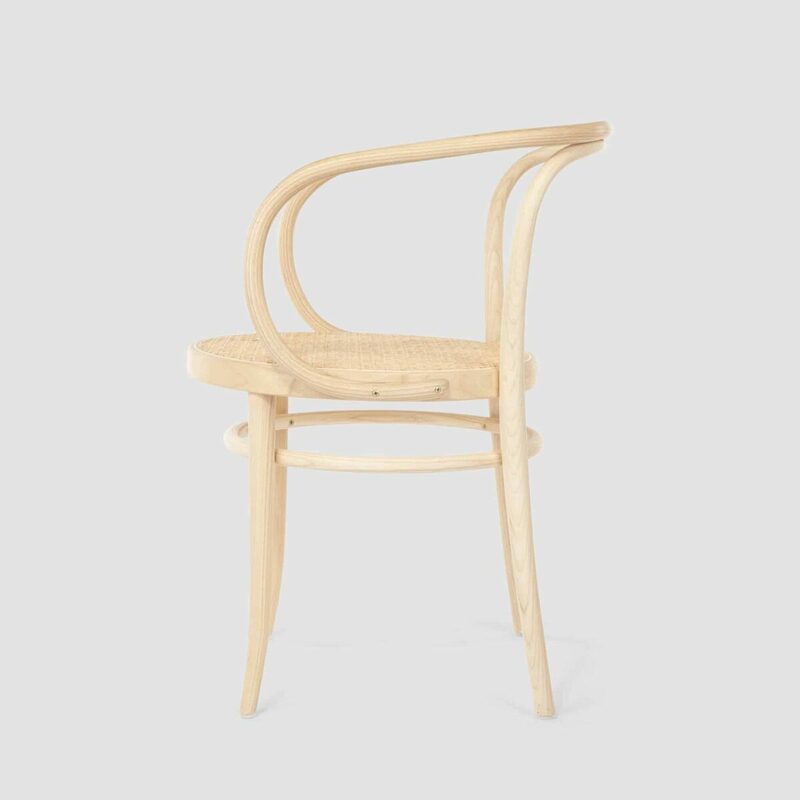 Thonet have the distinction of being the oldest furniture company in the world, having initially established in Germany in 1819 and somewhat later made famous by Michael Thonet’s bentwood chair that took Vienna by storm in the 1850s. 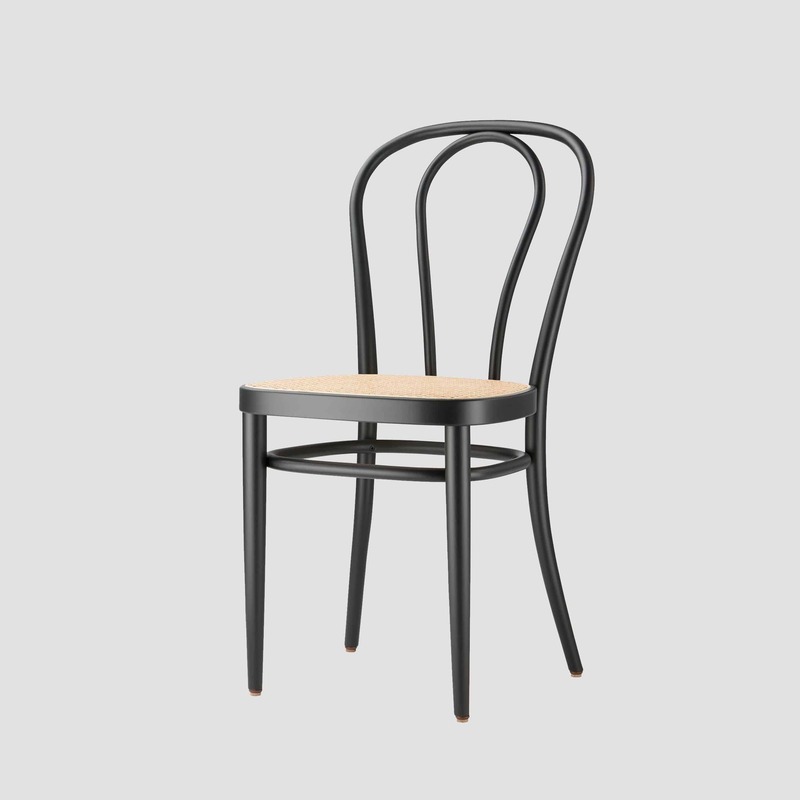 To this day Thonet aims to inspire people with their furniture and their designs. 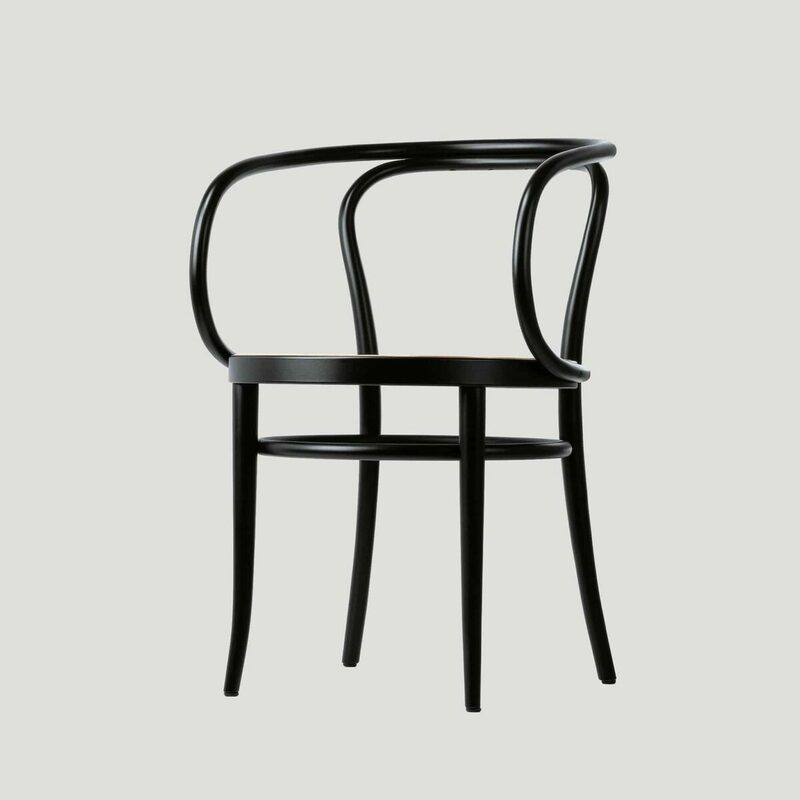 Thonet do not follow trends but instead aim to set trends themselves in the best possible way. 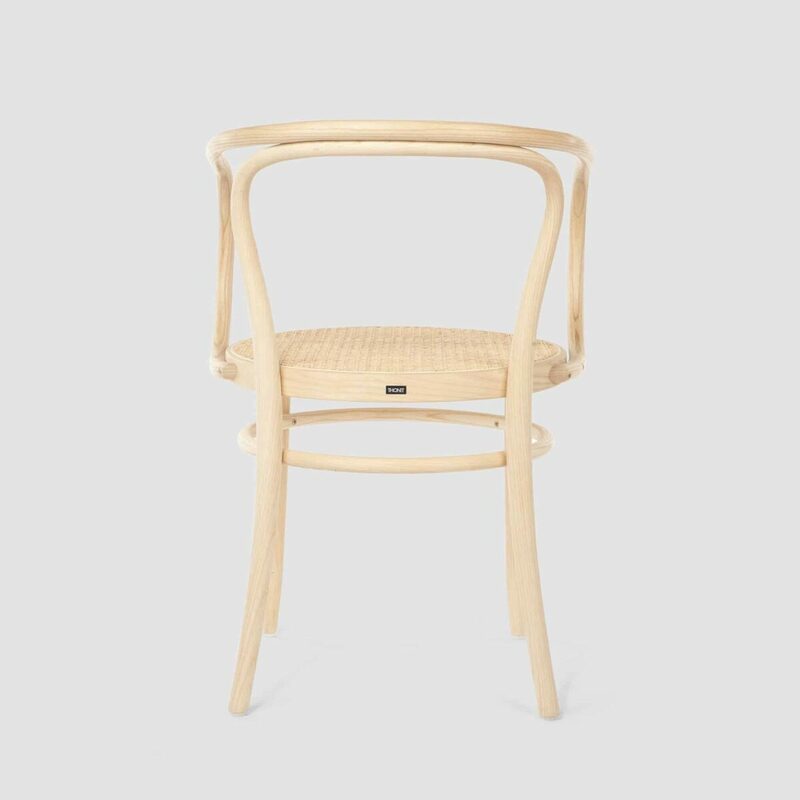 As a family company with a long tradition Thonet’s modis operandi is characterized by sustainable practices and timeless designs and their products are designed to not harm the environment, whether during production or at the end of a products life cycle. 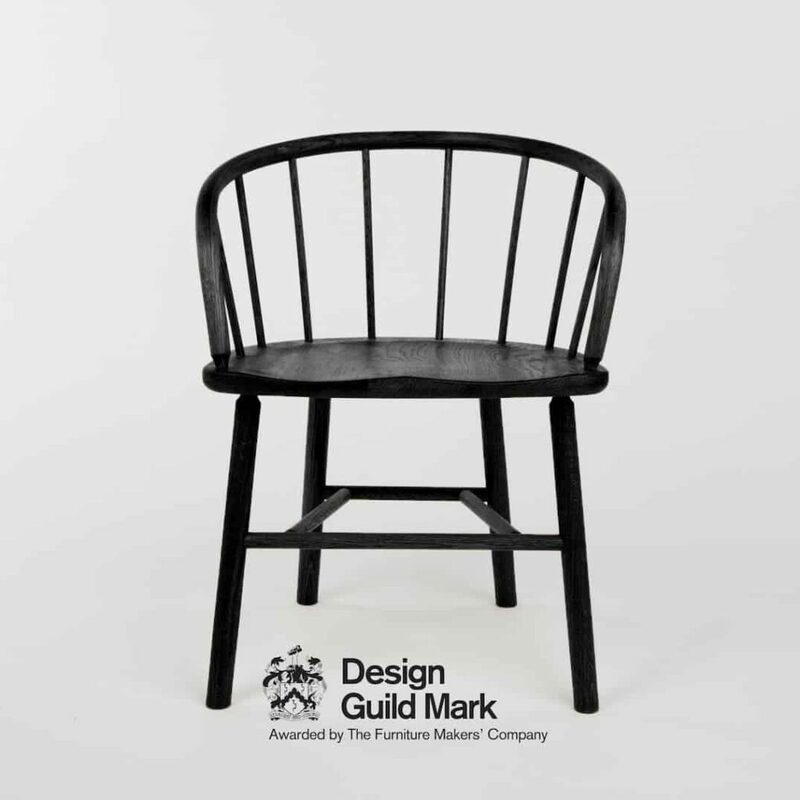 Do not use furniture care products that include waxes or silicone oils. Lacquered or stained surfaces do not need nutrition! The included oils damage the protective layer and soften and permeate the material. We recommend the use of a damp micro-fibre or leather cloth for the proper care of the furniture. Always clean and care with damp, wrung out cloths, never with wet cloths. Do not use strong household cleaners or abrasive substances. Abrasive substances roughen dirtied surfaces and the dirt will adhere to them even more. Repeated scrubbing makes the surface increasingly rough and thins the protective film. Wood is a natural product. It reacts to fluctuations of the indoor temperature and humidity. 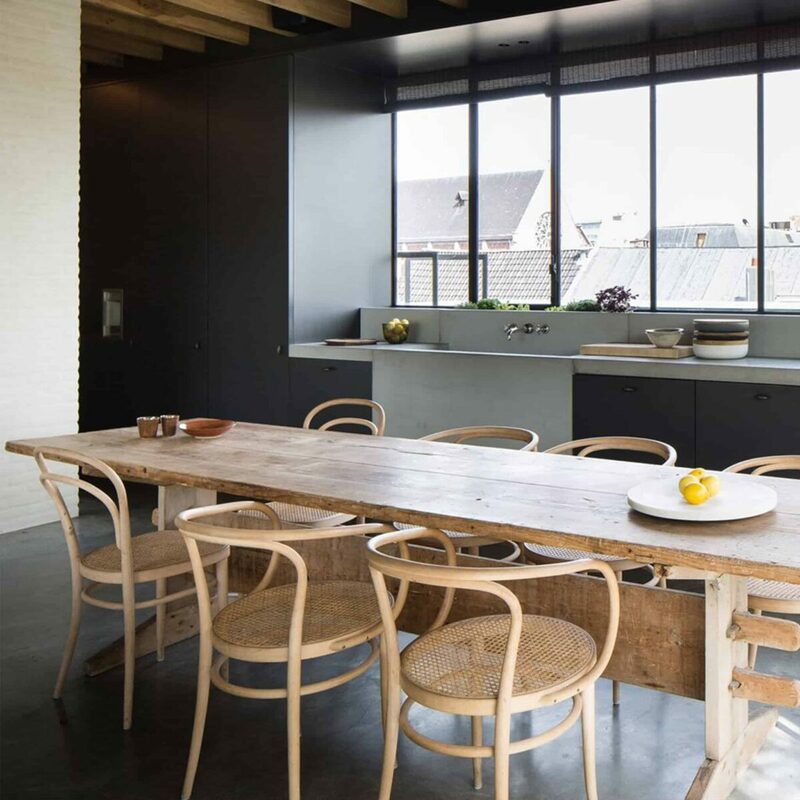 A balanced climate is not only recommended for people but also natural wood surfaces. Extremely humid or dry air can damage any wood and is the reason for possible swelling or cracking of the wood. Direct and constant sunlight should be avoided since the lacquers and veneers could become brittle or bleached. Do not place the furniture directly against damp, cold walls. Leave a distance of 2 to 3 cm to assure sufficient air circulation. The indoor temperature should be between 18 and 22°C, relative humidity between 50 and 60 percent. Hygrometers for determining the humidity are available in specialist stores. Flowers and water containers on heaters improve the indoor climate.